On Wednesday, January 6, 2016 Baseball’s Hall of Fame President Jeff Idelson announced that former Seattle Mariners great Ken Griffey Jr. was among two players elected to the Hall as part of the Class of 2016. Griffey becomes the 51st first ballot Hall of Fame member, and joins Mike Piazza in this year’s class. Griffey received 99.3% of the votes, the most in baseball history. His 22 year career in the Major Leagues spanned from 1989 to 2010. From 1989 to 1999 he was a member of the Mariners. Traded to the Reds in 2000 he stayed with them until 2009 when he re-signed with Seattle and finished his career there. 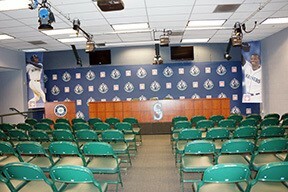 How is my simple tour of Safeco Field related to Ken Griffey Jr. and the Hall of Fame? Well as it turned out my tour was on Sunday, January 10, 2016, 4 days after the announcement. 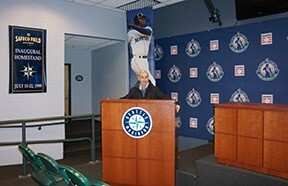 On the day before my tour of Safeco, Ken Griffey flew across the country to appear at a press conference at Safeco Field. As part of our tour the guide took us to the actual conference room and you could see on the table the actual left over documents handed out to the press. I walked to the stage where Griffey stood the day before and looked out at the seats which led me to remembering what a truly great player he was. “Junior”, as he is called, was the first player selected in the 1987 draft and is the first member of the Hall of Fame to be selected first overall. He meets the definition of a five-tool player and was one of 30 players named to MLB’s All-Century team in 1999. Ken and his father Ken Sr. made history as the first father and son teammates in the big leagues. They also hit back-to-back homes runs in a game. It was Ken Griffey Jr.’s original idea to honor Jackie Robinson by wearing number 42 for the Mariner’s game on Jackie Robinson Day, April 15. Bud Selig then followed his lead by ruling that all players wear 42 on Jackie Robinson Day. 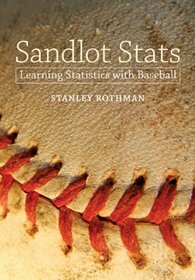 His baseball statistics are eye-popping. They include belting 630 home runs, sixth on the all-time list. From 1990-1999 as a member of the Mariners, he was a member of 10 All-Star teams, received 10 Gold Glove Awards, he was an AL home run champion four times, and was the unanimous AL MVP in 1997 (just the 13th player to do it). He was on several all-time lists being 7th in XBHs, 14th in RBIs, 13th in total bases, 26th in total runs scored, and 8th in multi-HR games. Joining the Reds in 2000 he hit 40 HRs and drove in 118 runs. That year he was voted to the NL All-Star team. The next several years Griffey was beset by many injuries which limited the number of games he played and probably stopped him from becoming the all-time home run leader. By playing in 2010 he became the 29th Major Leaguer to play in at least four decades. Ken has always been active in his community. The Ken Griffey Jr. Family Foundation supports many charities and local clubs. As part of his induction into the Seattle Mariners Hall of Fame in 2013, the Ken Griffey Family Endowment for Pediatric Cancer Research was established.